The 2018 NBA Finals was the championship series of the National Basketball Association (NBA)’s 2017 – 2018 season and conclusion of the season’s playoffs. 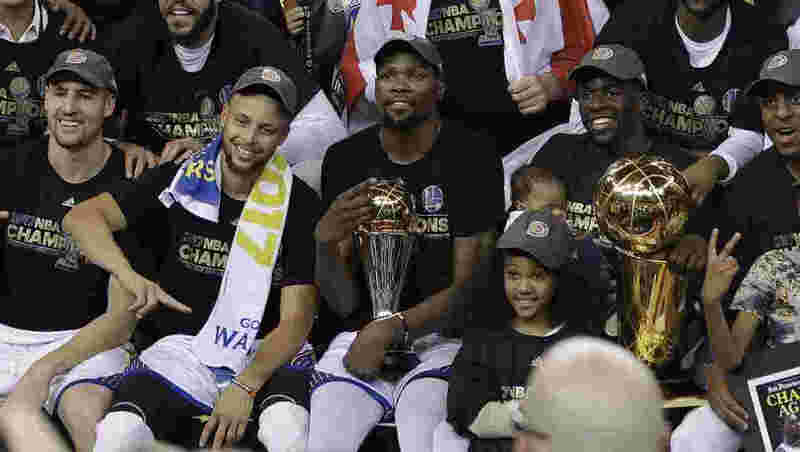 In this best-of-seven playoff, the defending NBA champion and Western Conference champion Golden State Warriors swept the Eastern Conference champion Cleveland Cavaliers 4 games to 0. This Finals was the first time in any of North America’s four major professional sports leagues the same two teams met for the championship four years in a row. This was also the first time a team was swept in the NBA Finals since 2007. Kevin Durant was named NBA Finals MVP for the second straight time. The Warriors had home-court advantage in the series since they had a better regular season record of 58 – 24, compared to the Cavaliers 50 – 32. Entering the Finals matchup, the Warriors were also noted by various sports media outlets as one of the biggest NBA Finals favorites in recent history. This was the first time since 2012that the Finals did not feature either of the top seeds in each conference. The 2018 Finals began on May 31 and ended on June 8. The series was sponsored by the Internet television service YouTube TV and officially known as the 2018 NBA Finals presented by YouTube TV.